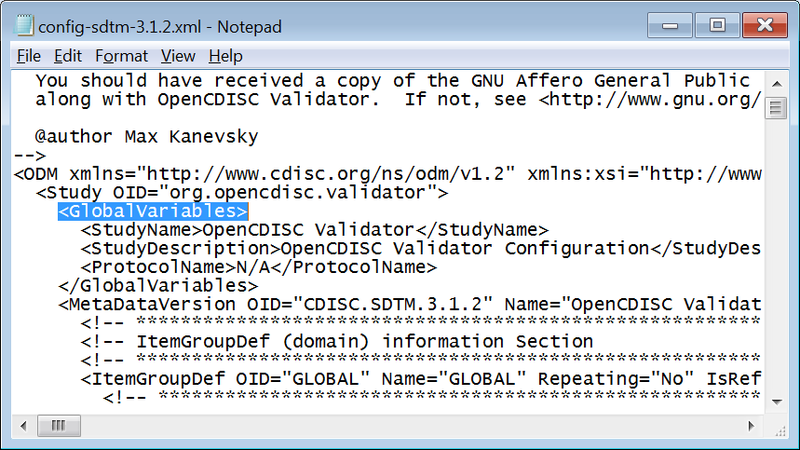 You can get the corresponding configuration files (validation rules) online or in the software folder (in ..opencdisc-validatorconfig with extension of .xml). 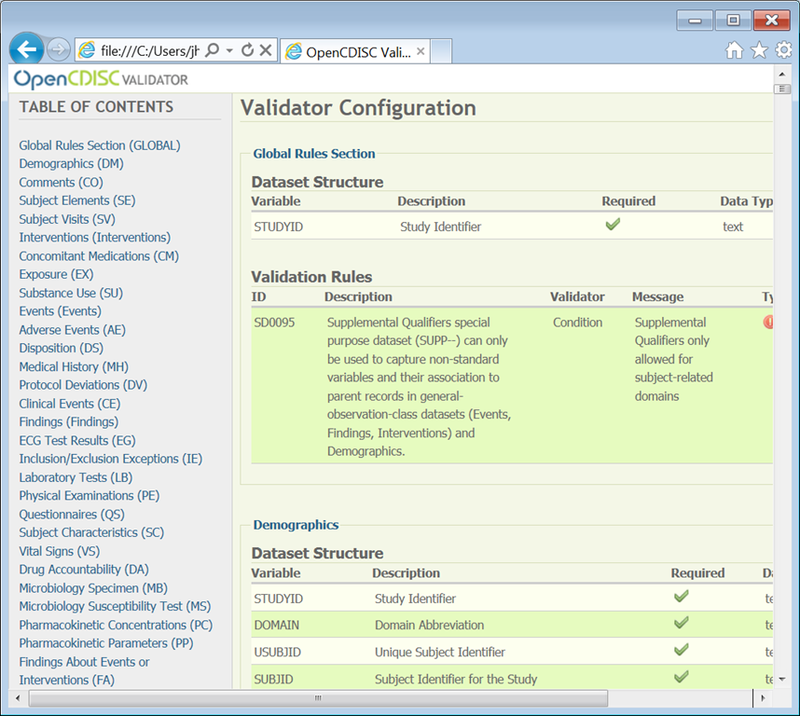 Since SDTM 3.1.2 has the most rich set of validation rules from Janus, WebSDM and of course additional OpenCDISC rules by itself, its configuration file (config-sdtm-3.1.2.xml) deserves more attention. 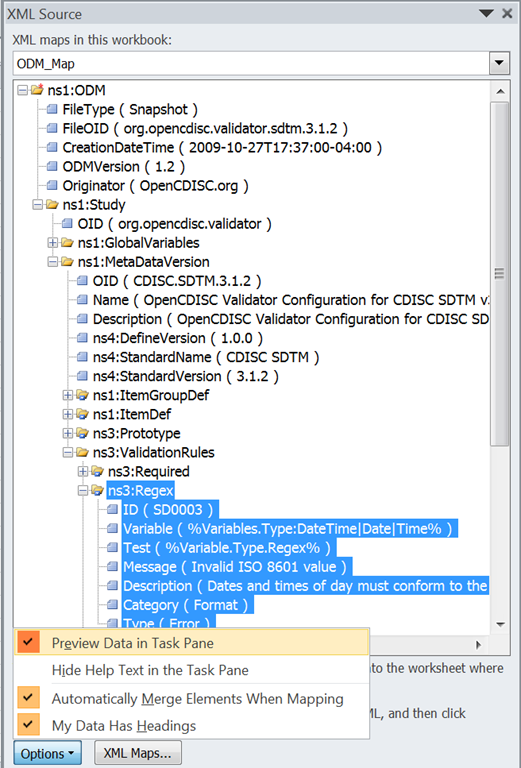 Better understanding of config-sdtm-3.1.2.xml is the first step to customize the software according to business needs. 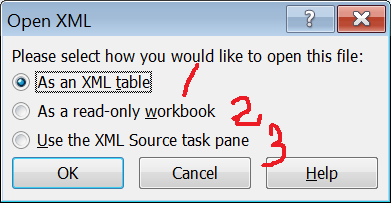 Followings are some personal tips and tricks to play and even “torture” the file, using Notepad++, web browsers (IE and Firefox), Excel with MSXML and SAS XML Mapper. 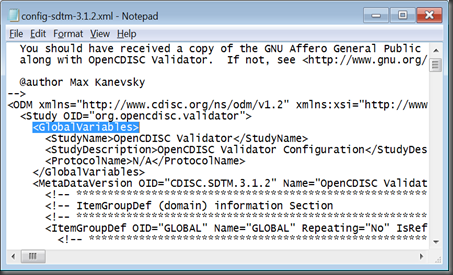 if you use Notepad to open a XML file, almost you get nothing but strings and strings. and another supporting reason, see bellowing picture. 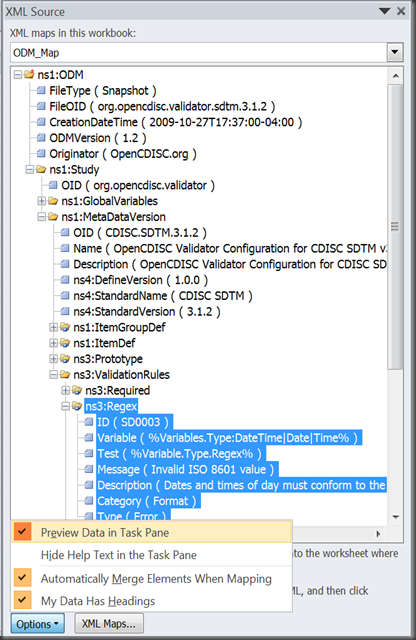 Notepad++ makes the difference. 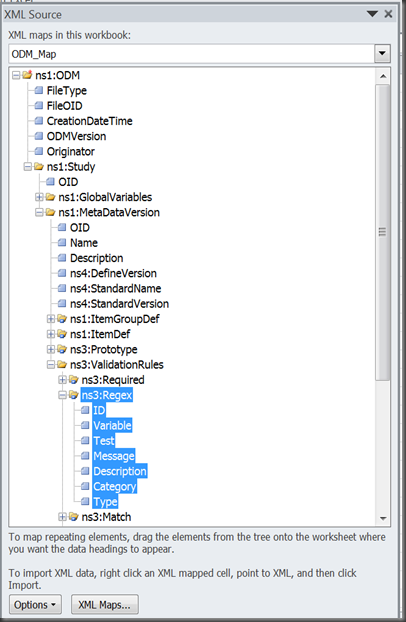 It supports multiple tabs view, XML syntax highlighting and XML tags match and other fancy stuff never in the plain Notepad. 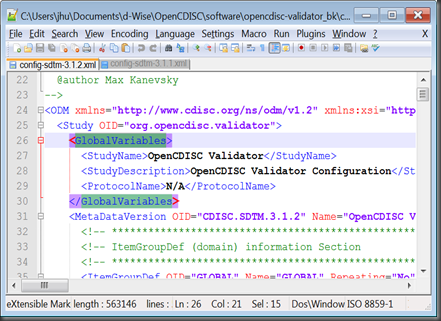 And like OpenCDISC, it’s free, both in sense of free beer and free speech. Other real text editor, include Vim, UltraEdit and such, but for most users, I still think Notepad++ is the most handy one. 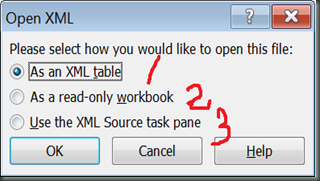 I use Excel 2010 with Microsoft XML parser (MSXML 6.0. You can get the version of your MSXML by visiting this website in IE and you will get the different results when switching to other web browsers because Firefox and Chrome use other parsers). 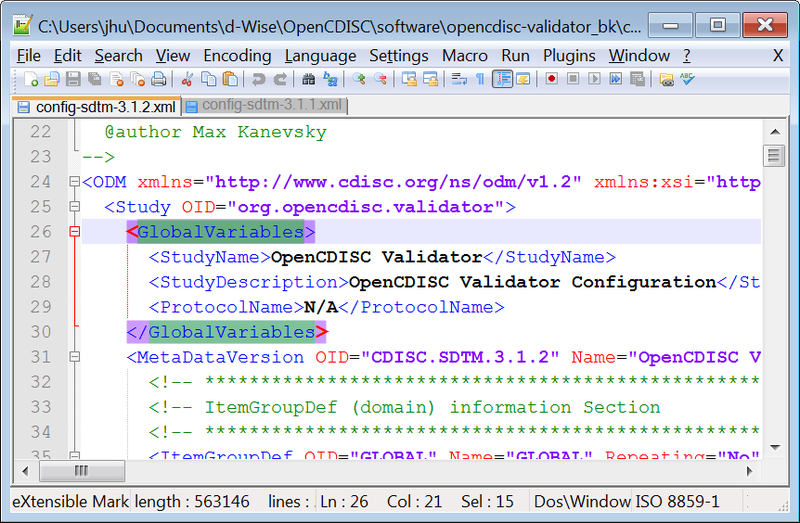 find a CDISC ODM based XML file that SAS XML Mapper can read automatically, e.g., in http://www.cdisc.org/define-xml, a file named define-example1.xml works well. 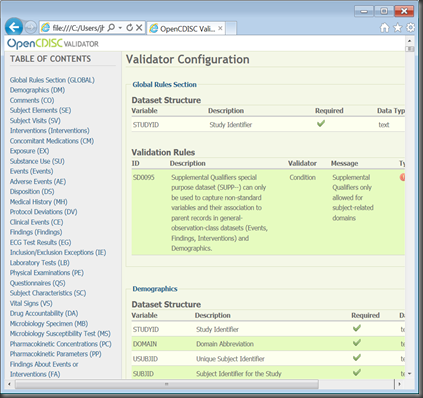 use AutoMap function in SAS XML Mapper to get the mapping file. 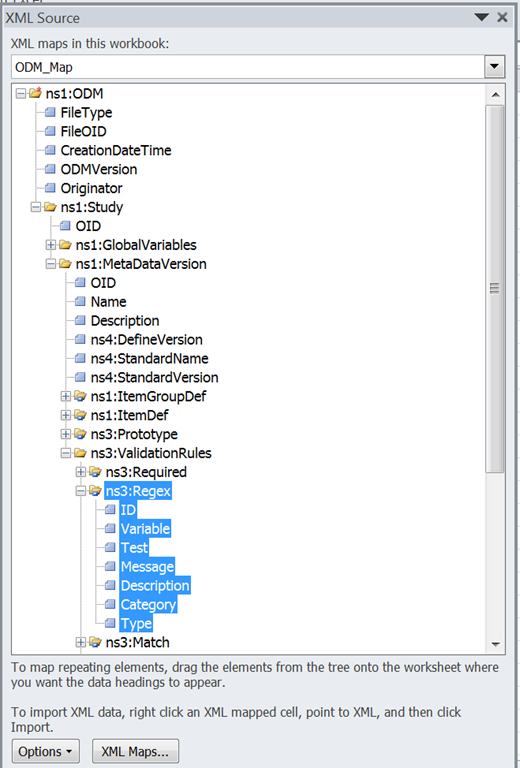 modify the mapping file to fit your needs. 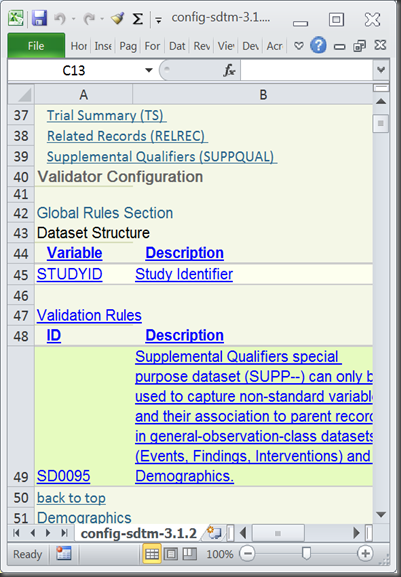 for details, refer SAS XML mapping syntax. 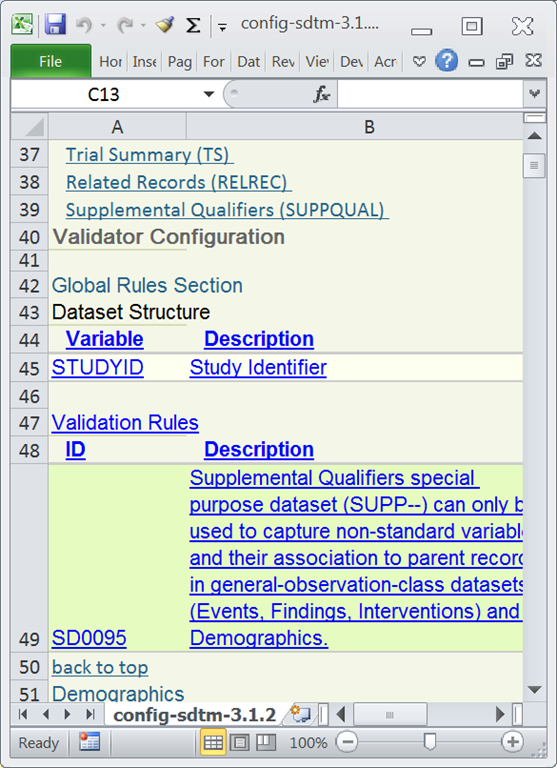 Option 1-3: tag view in section 4.